Thomson, Alan W P. 2016. 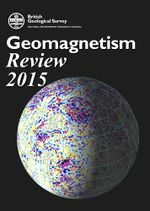 Geomagnetism review 2015. British Geological Survey Internal Report, OR/16/030. This page was last modified on 8 July 2016, at 14:11.